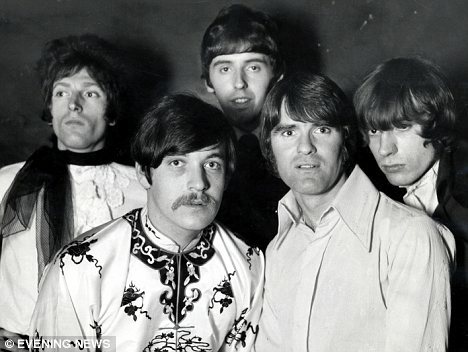 The Procol Harum classic A Whiter Shade of Pale was the iconic single of the Summer of Love and has since been broadcast more than any other record. It has earned millions in royalties for Gary Brooker, who wrote the tune, and poet Keith Reid, who penned the lyrics – possibly loaded with literary references to Chaucer and Milton, or possibly just about a one-night stand. But back in 1967 when it was released, neither of them made much money from it. 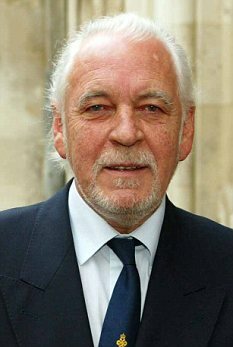 Lead singer Gary, who formed Procol Harum – which means 'of these far-off things' in Latin but was possibly the misspelling of the name of a friend's cat – was inspired by Johann Sebastian Bach's Air on the G String when he came up with the tune. He was 23 [sic] and living with his mum Violet near Southend in Essex at the time. To his amazement, the song spent six weeks at No 1. Four years later, when Gary and his Swiss wife Franky decided to start house-hunting, they faced the same problems as all first-time buyers: they had to convince their bank manager to give them a mortgage. 'When the song was released, Radio One hadn't even started and there were only pirate stations, which didn't pay performing rights fees. It's not like today when bands get rich overnight,' says Gary, now 66. After scouring the Home Counties for a house with an outbuilding Gary could convert to a studio, the couple paid £27,000 for Wintershall, a 16th-Century cottage set in 25 acres in what has become a millionaires' enclave in the Surrey hills, near Godalming. After forty years in the same house, the couple are now selling up. 'We'd looked everywhere from Kent to Oxfordshire, but this was in such a beautiful location and the barn was perfect for a studio,' says Franky. 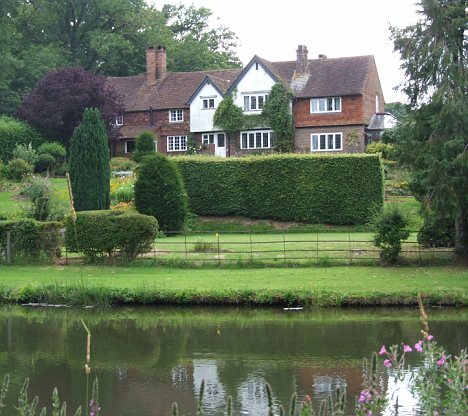 While the average UK house that sold for £27,000 in 1971 is now worth £433,000 (according to Nationwide), Gary and Franky are asking £2 million for their five-bedroom, Grade II-listed house, which has four reception rooms, an indoor pool and magnificent gardens including a lake. Over the years, the couple – who have just celebrated their 46th wedding anniversary – have added a two-storey extension, an indoor pool and converted the barn into a recording studio. But this is not a rock star's gaudy palace. The decor is muted, the furnishings are homely and the only hint that a musician lives here is the small piano in the living room – though there is a grand piano and a mixing desk in the barn. The asking price for the house is a snip compared with that of neighbours Anthea Turner and her husband Grant Bovey, the failed buy-to-let property mogul, who sold their home, Barbins Grange, a mile away, for £10million two years ago. Today, the area is a favourite with musicians, celebrities and Russian oligarchs. But Gary and Franky's is hardly the rock'n'roll lifestyle. 'A good wife keeps one out of trouble,' says Gary, who has avoided the drink and drugs that have plagued many of his peers. Both are keen gardeners, and their efforts have won them numerous prizes at the local Horticultural Show. Gary, who is a past winner of the European Open Fly Fishing Championship, fishes for sea trout in the tributary of the River Arun, which flows through their gardens, and shoots game in nearby woods. In 2009, Gary's fortunes took a blow when Matthew Fisher, who composed the organ tunes on A Whiter Shade of Pale, won a Law Lords ruling entitling him to 40 per cent of Gary's royalties from the song. Although Fisher, who was paid £75 for his efforts in 1967, had asked the cash to be backdated, the Lords ruled that he should get only future royalties. Gary will not comment on the case but says it is not the reason for the house sale. The couple have decided to stay nearby. 'I wanted to move to the seaside but all our friends are round here, so we're going to look a bit nearer to Guildford,' says Gary. Gary has also had a successful solo career and worked with Ringo Starr's All-Starr Band, Bill Wyman's Rhythm Kings and appeared alongside Madonna in the film Evita. Although A Whiter Shade of Pale was re-released in 1972 and the band made 13 studio albums, they never repeated the chart success of 1967. One big problem the couple face when the house is sold is packing everything up. 'We've spent forty years collecting so much stuff that we'll probably spend forty years trying to get rid of it,' says Franky. As well as Gary's collection of lighters – he's a pipe smoker – he collects vintage fishing rods and is a model-railway enthusiast. The big clear-out could be quite profitable. 'I've got a lot of old sound-effects equipment, which I've just discovered is becoming quite valuable so I'll probably put a lot of it on eBay,' says Gary.